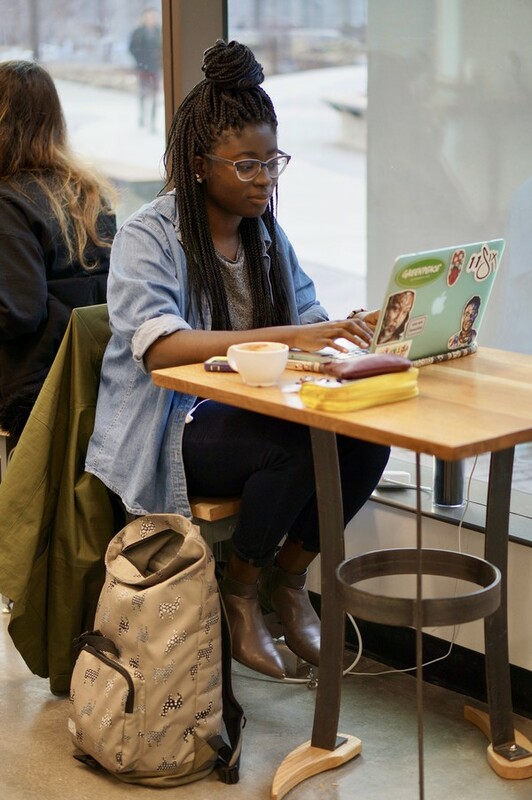 Despite invoking a few Portland stereotypes, the Chicago-based chain Dollop Coffee Co. has fit right in on campus, pleasing foodies and café lovers alike. 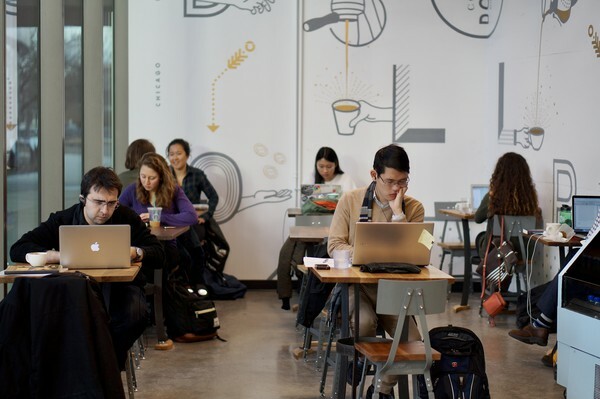 The latest addition to UChicago’s coffeeshop scene, Dollop has become a go-to study and hangout spot on Campus North. One quarter in...will it last longer than Packed? Sitting down with a cup of locally roasted, fair-trade coffee and a slice of homemade pie is not a bad study break. 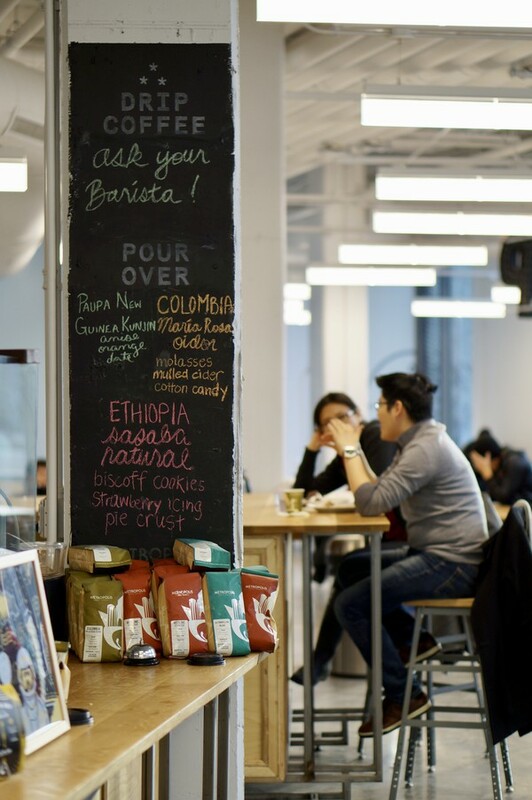 Despite invoking a few Portland stereotypes, the Chicago-based chain Dollop Coffee Co. has fit right in on campus, pleasing foodies and café lovers alike. Suspended along a curved, glass wall, letters dotted with large bulbs light up the ground floor of North Campus’s eastern tower: “DOLLOP.” The bright, sunlit cafe can look oddly serene, painted in muted earth tones, but it’s the DJing barista who really sets the mood, shifting from acoustic to New Age throughout the day. Whatever the music, it’s business as usual for customers, usually found leaning over notebooks and laptops. Large tables and comfortable couches, most with accessible outlets, fill the southern end of the shop. The atmosphere is welcoming yet modern. It’s a space designed to let students settle in. It may be a thriving chain, but Dollop feels local. 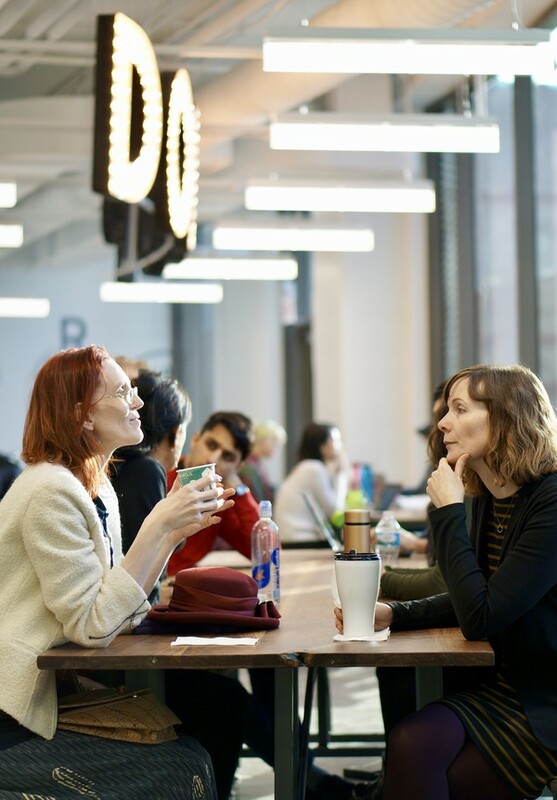 Founded in Buena Park in 2005, Dollop now has 10 locations across the city, offering goods from a variety of Chicago-based businesses. The Hyde Park branch offers breakfast and house-made sandwiches, served with a side of creamy potato salad. If you’re looking for a satisfying brie sandwich (that takes a bit too long to prepare) or a cultured Egg McMuffin, you know where to find one. But don’t neglect the sweeter side of life, because it’s the little things that set Dollop apart. Their muffins, baked at another Dollop location in Ukrainian Village, are fluffy and delicate. The blueberry muffin surprises you with pockets of juicy flavor—not the pebble-like berries often found in pastries. San Pellegrino, boxed water, and niche yogurt brands dot the refrigerated case to the left. As for the coffee itself: it’s strong, surprisingly acidic, and comes in every form—from Kyoto-style brew to espresso. Patrons eating in-house can drink out of mugs and glasses with character; some are thick, others curved, all funky. The beans are roasted in small batches by another Chicago business, Metropolis Coffee Company. It’s clear that Dollop has made a business out of collecting the very best offerings in one space. They sell the devastatingly delicious pies and quiches of Hoosier Mama Pie Co., yet another Chicago business, alongside their small batch brew. Even the employees seem accidentally cool. It sells the whole package—but at a price. So be careful about getting hooked on their offerings, delightful as they are, or you’ll find yourself short on rent. Instead, come for a treat; stay for the ambiance.